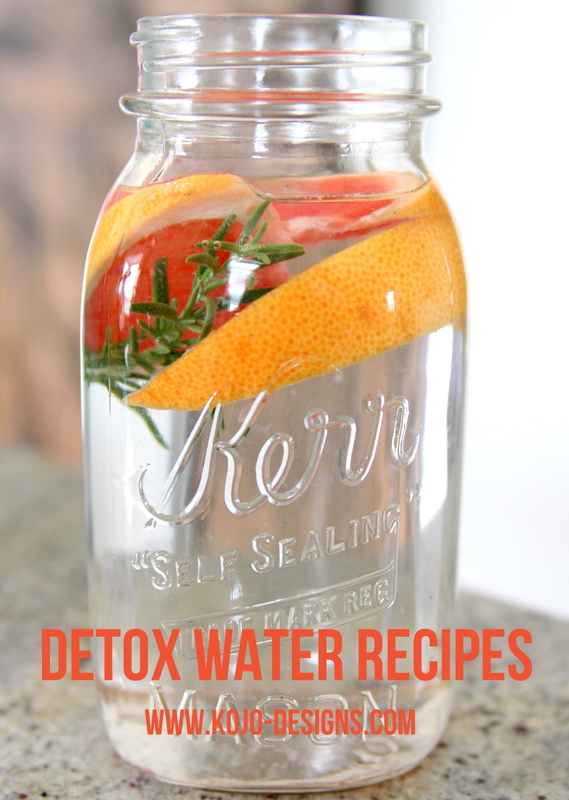 I know I’ve sung the praises of detox water recipes before, and I probably will again. What can I say? I am a reluctant-water-drinker turned pitcher-of-water-a-day girl because of the flavored water that is constantly in my fridge. That said, I tried a couple of new recipes for a Water Bar at a World Water Day party last week and now have a couple of new favorites. Of course, I figured y’all probably needed to try these out as well. True story- a new batch of Blood Orange Mint water is brewing in a pitcher in my fridge right now- love it. 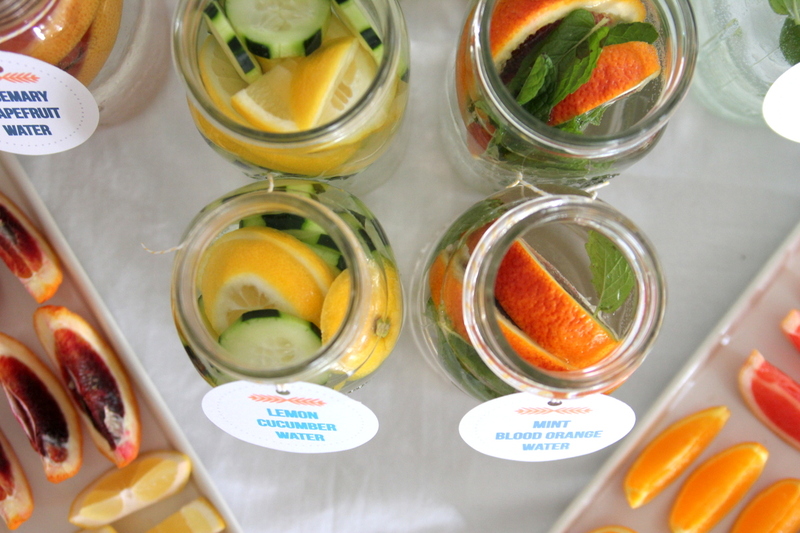 Want to try out a couple of new kinds of flavored water too? 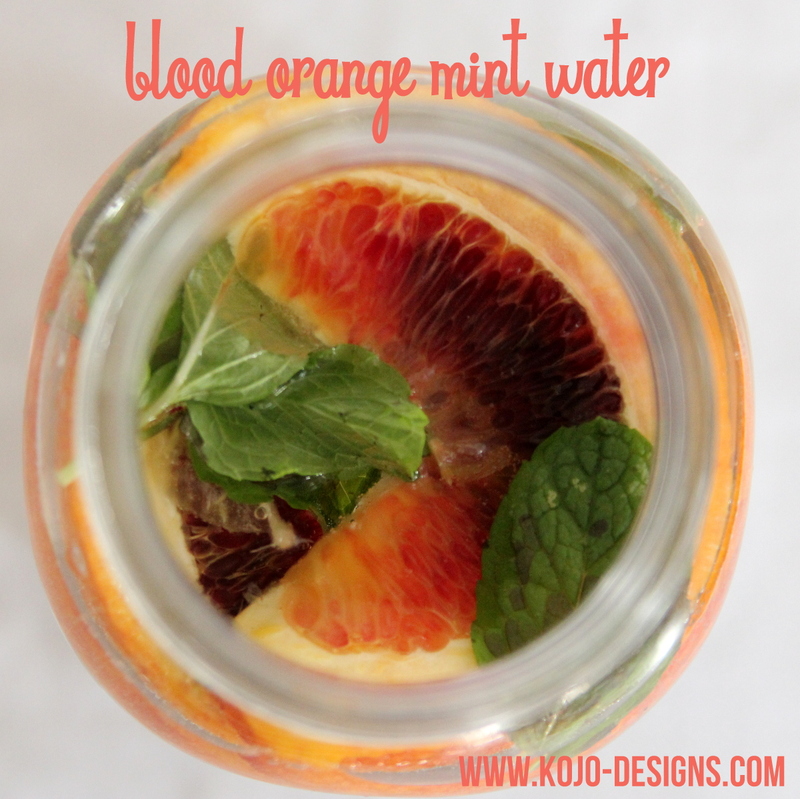 To make Blood Orange Mint Detox Water– Add half of one blood orange, sliced, plus a handful of mint (I used pineapple mint because that’s what we have in my window garden) to a pitcher. Let sit over night, drink the next day. *For variation, try a quarter of a blood orange and a quarter of a navel orange- that’s good too. 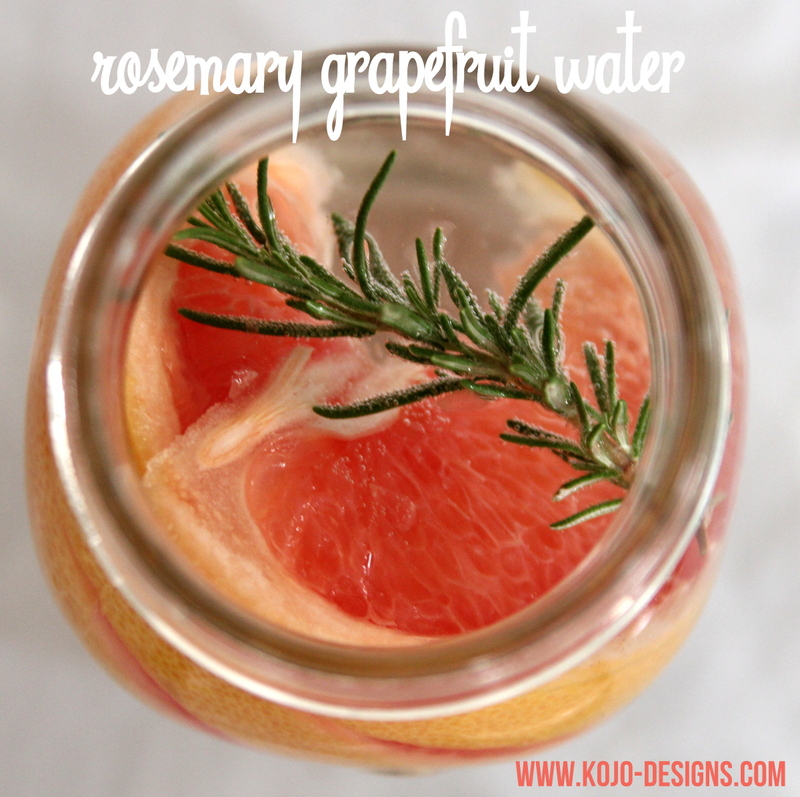 To make Grapefruit Rosemary Detox Water– Add half of a grapefruit and several sprigs of rosemary (I only added a couple of small sprigs the first time and couldn’t really taste the rosemary- so be sure to be generous with the rosemary) to the bottom of a pitcher. Let sit over night. Drink the next day. Cheers friends! And, this probably goes without saying, but if you’ve tried some other fabulous citrus/herb water combination, send it my way. With all of these new flavored water ideas, maybe I will actually stay hydrated this summer? Try sliced cucumbers added to a pitcher of water. It is so refreshing–you’ll love it. Cheri, I love cucumbers (even better with lemons! and mint!). 🙂 Thanks for the tip! I have to try that blood orange water recipe. I’m loving everything mint right now, must be the anticipation of summers that will be here anytime now. I once copied the idea of adding a sprig of mint to every glass of lemonade I served guests and it was a big hit among the guests. I love the idea of mint lemonade- LOVE it! I have lately made water with frozen blueberries and cinnamonsticks. Very good. And the kids love it because of the great colour! Oooooh, frozen blueberries- love that idea! Do you have to drink the next day…how long would this last in the fridge? Hey Tonia- my initial detox water research said that the fruit would mold if you left it in for longer than a day, but that hasn’t ever happened to me (yet, at least). I do notice that after two days, it’s too potent, especially if there is citrus fruit involved. These detox waters make me feel like I’m at the spa! this is probably a stupid question, however how will these reciepes help. Not stupid at all Karen! The primary benefit for me is that having the flavored water on hand makes me actually drink water. That said, the various add-ins have other benefits as well (detoxification of the liver/kidney, diuretic, etc.). Can I just use grapefruit instead of combining with rosemary? Tracy- of course! Whatever combo you like best! I love this kind of detox wáter, especially Blood Orange Mint !! When I was a kid my mom used to make a detox concoction that I would drink up before she got to it. It was a lemon, orange, barley mix. She boiled water and threw the above in and let it cool in a pitcher in the frig overnight. Lainey, how funny! I love it that you beat her to it. Did it taste kind of like citrus tea?